The Women NGO Secretariat of Liberia and the women of Liberia, in collaboration with her international partners called on Boko Haram to “BRING BACK THEIR GIRLS”. The call came as a result of the relationship that Liberia shared with Nigeria as member of the ECOWAS body. 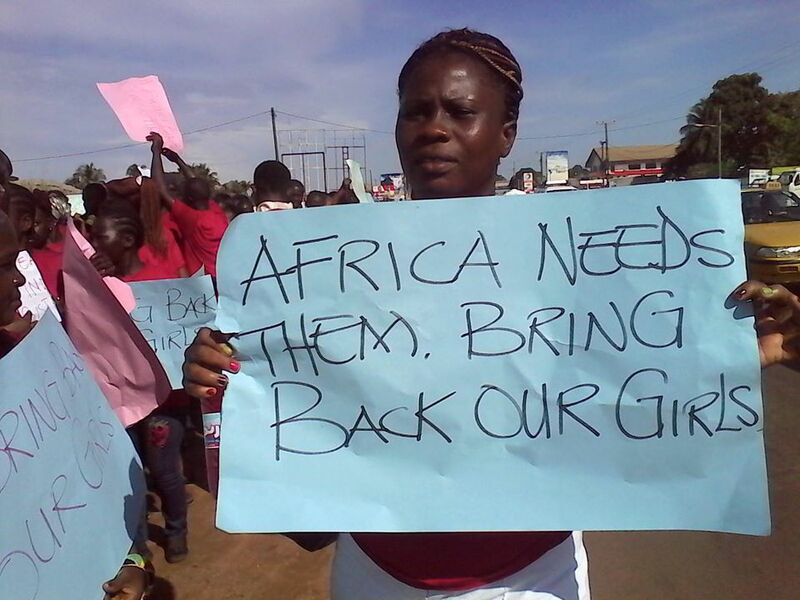 On Thursday May 15, 2014, the women of Liberia dressed in red T-shirt & black trousers/shirts and with posters went at the Nigerian House in Liberia saying “# Bring Back our Girls” as a means of solidarity with the Nigerian families whose girls were taken by the terror group Boko Haram. The women of Liberia condemned the act; mention that is a violation of ARTICLE 4 of the Universal Declaration of Human Rights— NO SLAVERY or servitude “No one shall be held in slavery”. A Statement was also presented to the Nigerian Ambassador to Liberia.